Rich and powerful musical language and a strong sense of drama have made Scottish-American composer Thea Musgrave one of the most respected and exciting contemporary composers in the Western world. Her works have been widely performed in Britain, Europe and the USA, and at the major music festivals, such as Edinburgh, Warsaw Autumn, Florence Maggio Musicale, Venice Biennale, Aldeburgh, Cheltenham and Zagreb. Her works have also been heard on most European and American broadcasting stations; and on many regular symphony concert series. Thea has conducted many of her own works: the premiere performance of Mary,Queen of Scots at the 1977 Edinburgh International Festival and later with the San Francisco Spring Opera; the premiere performances of The Voice of Ariadne in Britain and again in New York and Los Angeles (New York City Opera); and many orchestral concerts (Philadelphia, San Francisco, St Paul Chamber, LA Chamber, BBC Symphony, BBC Scottish Symphony, Royal Scottish National, Hong Kong Philharmonic, Jerusalem Philharmonic, etc.). Born in Edinburgh, Scotland on 27 May 1928, Thea studied at the University of Edinburgh. Later she spent four years with Nadia Boulanger at the Conservatoire in Paris before establishing herself back in London as a prominent member of British musical life. In 1970 she became Guest Professor at the University of California, Santa Barbara. In 1971 she married the American opera conductor Peter Mark, and since 1972 has resided in the U.S. She received a Serge Koussevitzky Music Foundation-Library of Congress commission for Space Play (1974), which after its London premiere in the Queen Elizabeth Hall was performed in New York by the Lincoln Center Chamber Players. She has also been awarded two Guggenheim Fellowships as well as honorary degrees from Old Dominion University (Virginia), Smith College, Glasgow University, and New England Conservatory of Music. She served as Distinguished Professor at Queens College, City University of New York from September 1987-2002 and was awarded a C.B.E. on the Queen's New Year's Honour List in January 2002. In 2018 she was presented with both the Ivor Classical Music Award and The Queen's Medal for Music, which she received in an audience with Her Majesty at Buckingham Palace. Musgrave has consistently explored new means of projecting essentially dramatic situations in her music. Some works are ‘dramatic-abstract’, that is without programmatic content (such as the Clarinet Concerto, the Horn Concerto, the Viola Concerto, and Space Play), and others project specific programmatic ideas (such as the paintings in The Seasons and Turbulent Landscapes, the poems in Ring Out Wild Bells, Journey through a Japanese Landscape, and Autumn Sonata, and the famous Greek legends of Orfeo, Narcissus, Helios, and Voices from the Ancient World) -- all extensions of concerto principles. In some of these, to enhance the dramatic effect, the sonic possibilities of spatial acoustics have been incorporated where the soloist moves around to different sections of the orchestra (Clarinet Concerto), and where orchestral horns are stationed around the concert hall (Horn Concerto). Thus the players are not only the conversants in an abstract musical dialogue, but also very much the living (and frequently peripatetic) embodiment of its dramatis personae. Thea’s focus on the lyric and dramatic potential of music have naturally led Musgrave to the field of opera. Her large-scale operas, beginning with The Voice of Ariadne (1972), Mary, Queen of Scots (1977), A Christmas Carol (1979), Harriet, The Woman Called Moses (1984), and Simón Bolívar (1993), are in every sense the true successors to her instrumental concertos. 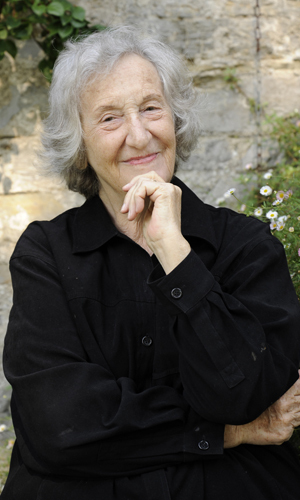 With such a large and varied career and catalogue, Thea Musgrave is frequently interviewed and questioned about being a "woman" composer, to which she has replied; "Yes, I am a woman; and I am a composer. But rarely at the same time."